← How to Split PDF pages in half? How to break PDF pages to small PDF pages? How to use Advanced PDF Tools Command Line to set page size to A3, A4??? 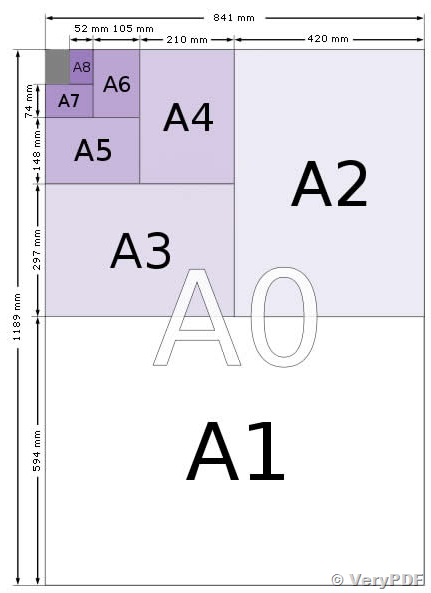 In your help file of the command line version you say that it is possible to (re)size a pdf to A4 or A3. But there is not even a hint inside the manual how to do that. So please tell me how you do that. pdftools.exe -i C:\in.pdf -o C:\out.pdf -x "0 0 612 792" -j "612 792 true"
pdftools.exe -i C:\in.pdf -o C:\out.pdf -x "0 0 842 1190" -j "842 1190 true"
pdftools.exe -i C:\in.pdf -o C:\out.pdf -x "0 0 595 842" -j "595 842 true"
"-x" parameter will set paper width and height for every page in your PDF file, you can set either width or height to 0, the another parameter will be calculated automatically. "-j" parameter will scale paper content automatically, you can set either ScaleX or ScaleY to 0, the another parameter will be calculated automatically. 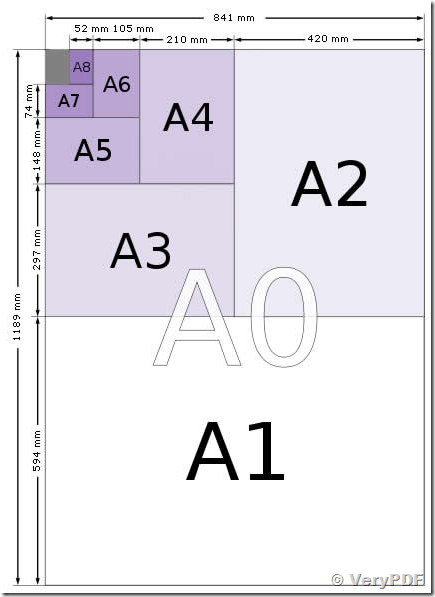 To obtain paper sizes in centimeters, convert mm values to cm by dividing by 10 and in feet by dividing inch values by 12. How to change PDF file’s paper size? How to batch load and save metadata XML file format into PDF file? How to modify Metadata and Custom Properties in PDF files? VeryPDF PDF Toolkit Modules, PDF Components and PDF Tools, Convert, Combine, Extract, Encrypt, Decrypt, Protect, Watermark, Stamp, Compress, Optimize, Edit and more. How to use VeryPDF tool to find whether a batch of PDF files are secured or not? This entry was posted in Advanced PDF Tools and tagged change paper size, pdf tools, set page size. Bookmark the permalink. One Response to How to use Advanced PDF Tools Command Line to set page size to A3, A4??? I need Advanced PDF tools Command Line. Will it work on Linux? Thanks for your message, Advanced PDF tools Command Line is a Windows software, it is not work on Linux. "VeryPDF PDF Toolbox Shell for Linux" is contain most functions which included in "Advanced PDF tools Command Line", it is also support Linux system, we hoping this software will useful to you.